March 31, 20:00 hrs. Ukrainians today went to the polls to cast their ballot in the election of the President of Ukraine. The 29,901 polling stations in the country have now closed. The last polling station abroad will close at 06:00 hrs Kyiv time in San Francisco on Monday, April 1. In the coming hours, election officials will be diligently counting the votes cast in each polling stations. Overall, 29,460,827 voters were included in voter lists for this election, hereof 677,888 voters who opted to vote at place of stay (homebound voters). Some 530,123 voters were registered to vote abroad at Ukrainian embassies and consulates in 72 countries. The number of ballot papers printed and on 28 and 29 March distributed to precinct election commissions amounts to 30,463,272 ballots. Preliminary turnout figures released by the Central Election Commission (CEC) based on phone-in reports to 198 of 199 district election commissions (DECs) were 16.33 percent at 11:00 hrs. and 45.11 percent at 15:00 hrs., respectively. According to CEC data, the similar figures reported during the day in the 2014 early presidential election were 17.60 percent and 40.36 percent, respectively. This seems to indicate an overall higher turnout compared to the 2014 election. As of 15:00 hrs, six oblasts reported turnouts higher than 48 percent, namely Zaporizzhia (49.10%), Poltava (48.84%), Dnipropetrovsk (48.74%), Chernihiv (48.69%), Volhynia (48.21%) and Sumy (48.10 %) while seven oblasts reported turnouts lower than 44 percent, namely Zakarpattia (29.35%), Chernivtsi (36.44%), Ivano-Frankivsk (38.52%), Lviv (41.48%), Odesa (41.83%), Ternopil (42.49%) and Kherson (43.78%). The CEC will report the preliminary turnout figures at the time of the closing polls at the link inserted here. A record number of 39 presidential candidates were on the ballot: 35 men and four women, compared to 24 candidates in the 2014 election. If a single candidate does not receive more than 50 percent of the votes in today’s election, a run-off election between the two top candidates will be held on April 21. An unprecedented 139 Ukrainian non-governmental organizations registered a total of 89,662 domestic observers. Official observers from 18 foreign countries and 18 international organizations fielded an additional 2,344 international observers. PECs are now hard at work counting votes and filling in the election results protocols, which will be sent to DECs for further tabulation before the CEC verifies and finalizes the results. Official results will be announced by the CEC within ten days. It may be announced before, depending on the number and nature complaints and appeals filed during the process and against the preliminary results. The CEC will release information about the preliminary results of vote from polling stations across the country on a special website in Ukrainian, please find the link here. If a run-off election is required, the CEC will officially announce a second round between the two first round contestants with the highest number of votes, re-establish DECs and PECs with members nominated by run-off contestants, and immediately begin work to prepare for the vote on April 21. The IFES Ukraine team also worked on the ground during election day, visiting 40 polling stations in Kyiv and Kyiv oblast. 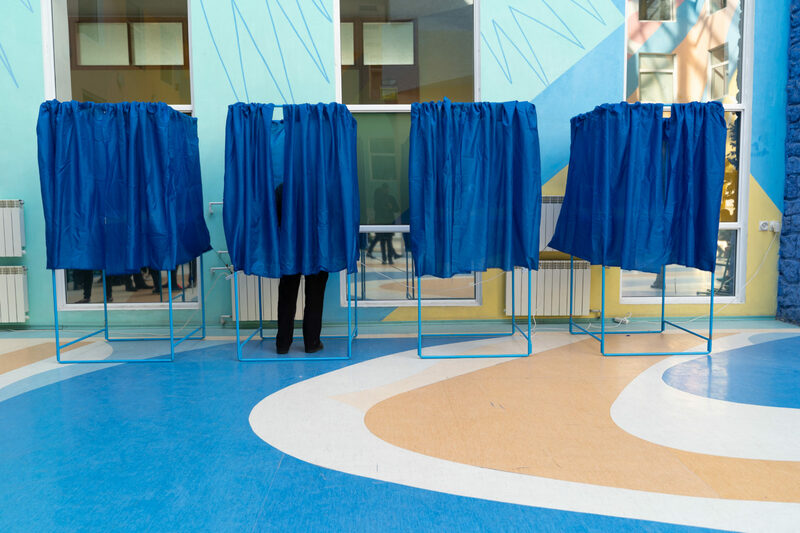 In preparation for the elections day, IFES Ukraine has worked closely with a broad range of electoral actors to prepare for this important event and will continue to support its partners in the democratic process moving forward. IFES has supported education and outreach efforts, provided technical support to election management, worked to provide trainings to electoral actors on a broad range of functions from election dispute resolution to political finance, and continues to invest in initiatives that further promote transparency, integrity and inclusion.